I set out to find a quote that would stand as a “second witness” to the thought I shared a couple of weeks go on Being Thankful for Our Problems. I love the quote I found. I think she puts the two things together. I think when we try to focus only on the good things in life, we block out a huge portion of life. We aren’t able to be present for it. How often to we bury our heads in the sand like an ostrich to protect our hearts from pain? 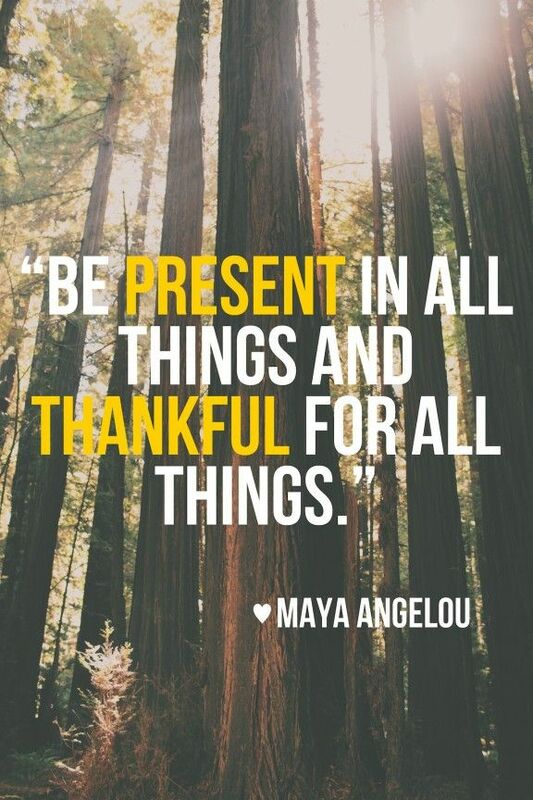 Be present. And at the same time, be thankful. All things are life, and be thankful for it. On the same page I found the nice picture above, I found a great quote from Thessalonians. It doesn’t say, be sure to give thanks for the good things. It says to give things in every thing. No matter if you are facing the bitter or the sweet (and we pretty much face both every day, right? ), say thank you. Grow from both facets of life. So remember to be thankful. In all things. Thank you for posting this today. I am going to look for ways to be thankful in what is a very challenging time at work. I should be thankful that I have a job I love and an called to.